There is a huge global demand for qualified English teachers. Salaries for entry level teachers are above the median earning standard for the country in which you will be teaching. Private free-lance tutoring can bring in enough extra to allow you to save a comfortable amount. Although there have been some recent financial problems in Asian countries, you may still be able to save a comfortable amount each month, especially in Japan and Korea. American citizens with teaching qualifications are in high demand in almost all countries in Latin America. Mexico has moved to the front of the list since NAFTA. Asia continues to be a very high demand area, with Japan, Korea, Taiwan, Indonesia, and Thailand in the forefront. 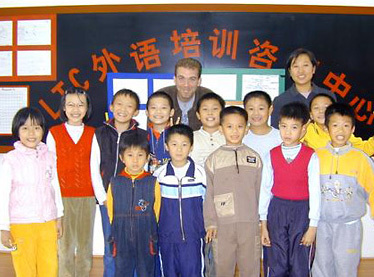 China has also surged forward in offering job openings for English teachers. Vietnam has recently joined the list of Asian countries needing teachers. Eastern Europe and Northern Africa are strong job-hunting areas (Morocco, Tunisia, and Egypt). The more educational degrees you have in any field, the more in demand you will be, especially in Asia. Obtaining a TEFL certificate with us will also help you if you choose to stay back in the U.S and teach English as a second language. Teachers of English are in high demand throughout the world, but it is becoming more and more difficult for those who have no training to simply go abroad and find a job. Our program provides the building blocks you need to begin a new career. First, we provide both theoretical and practical training in the techniques of teaching a foreign language as well as a thorough review of English grammar itself, all of which are essential to anyone who wants to work as an English teacher, either at home or overseas. Upon successful completion of the program, course participants will receive a certificate in Teaching English as a Foreign Language (a TEFL certificate). This certificate shows employers that you have conducted your own classes and are familiar with the techniques used in teaching English. In addition, we will also provide a letter of reference which will describe the topics you have covered in our program as well as your particular skills. Both this letter and the TEFL Certificate will make you a more attractive job candidate to prospective employers.